A featured solution at Expomin 2018, Metso’s HRC3000 high-pressure grinding roll is more energy-efficient than traditional HPGRs. In the second half of 2017, the solutions reached a milestone of one hundred million short tons of crushed ore at Freeport-McMoRan’s copper mine in Morenci, Arizona, USA. “Miners in Chile as well as globally are rethinking their strategies to unlock productivity, tackle depleting ore grades, and optimize the total cost of ownership of their operations – in a sustainable manner. For the past 150 years, we at Metso have made significant step-changes to help our customers to adapt to varying market conditions. Expomin is an excellent platform to present how we can help our customers solve the challenges of today and tomorrow, and to continue dialogue on these vital themes for the industry,” says Eduard Nilo, senior vice president for Metso’s Pacific Rim market area and general manager of Metso Chile. 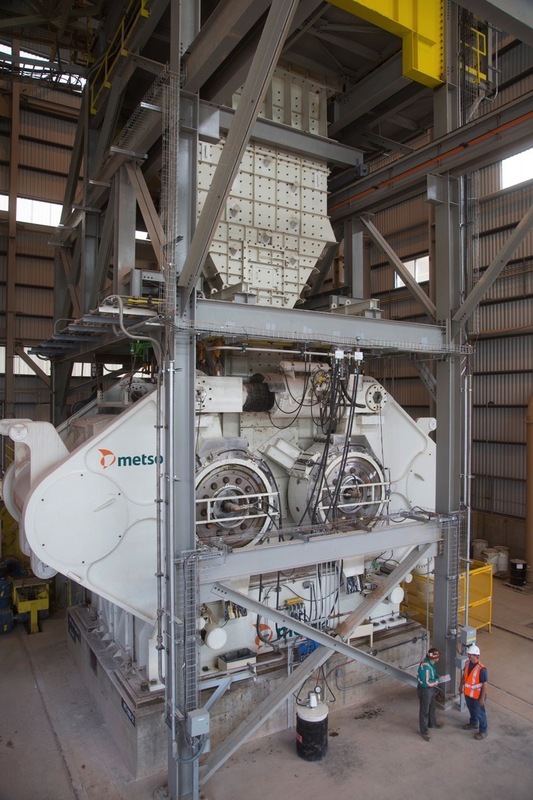 During the exhibition, Metso will showcase a number of industry-leading solutions, including the award-winning Metso HRCTM 3000 crusher, which is the largest fully operating high-pressure grinding roll (HPGR) in the world. The energy-efficient comminution solution can achieve an ore processing capability of over 5400 tph. The Expomin Exhibition and World Congress takes place in Santiago, Chile, on April 23-27. Metso invites visitors to join its experts for training sessions and discussions in its experience room at the Metso Booth, No. 06, Exterior Pavilion F.